This trade is similar to opening a Call Credit Spread selling the 830 Call and buying the 835 Call. Creates a similar profit curve. 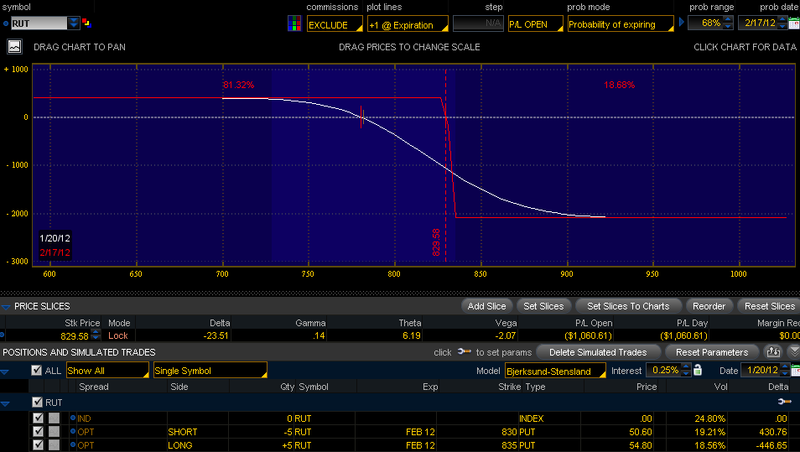 However the Put Spread was yielding a little more profit while reducing the maximum risk. 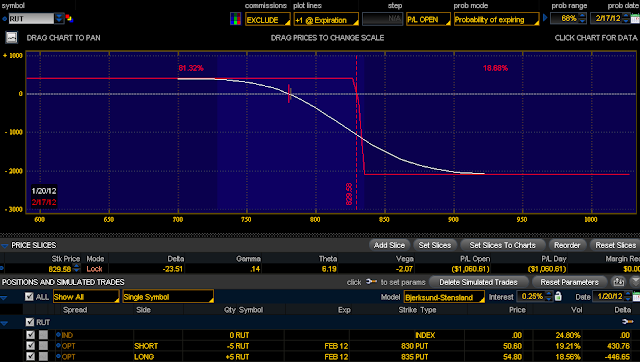 There was also a nice volatility skew in the 830 and 835 Puts to take advantage of. With the strength of the market and judging by what it did last year (Unstoppable from December to March), I probably wont hold this until expiration. February RUT Bear Put Spread Closed.